St. John’s is dedicated to the faith and worship of the One, Holy, Catholic, and Apostolic Church within the classical Anglican tradition. 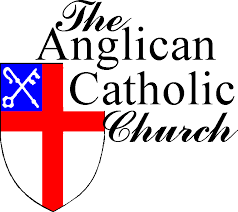 We are a small, friendly parish within the Anglican Catholic Church, proclaiming and upholding the Biblical, orthodox, and Catholic Anglican tradition in doctrine, worship, and discipline. To learn more about us please see our Videos. St. John’s Anglican Catholic Church has its roots in the ancient Church going all the way back to Jesus Christ and the Apostles. We’re a liturgical church. “Liturgy” literally means “the work of the people.” That’s why at St. John’s you’ll find that you’re participating in the worship through music, responsive reading, and through the reciting of prayers and creeds. You’re not just a spectator, watching what happens in the front of the church. You’re participating in “the work of the people” from right where you are. Believe it or not, the ancient Christian Church worshiped through liturgy. Some people think that the earliest Christians described in the pages of the Bible were worshiping in an unstructured way–similar to the way some contemporary churches worship today, just without all the electronics! But that’s not the case. Writings of the early Church Fathers in the first and second centuries describe their corporate worship as liturgical worship. In fact, the early Christians weren’t the first to use a liturgical form of worship, and they didn’t come up with it all by themselves. Christian liturgy is actually based on Jewish Temple worship. 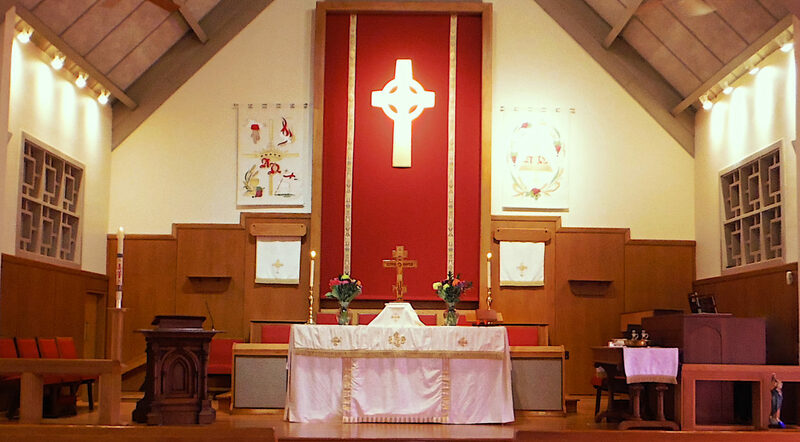 In addition to being a liturgical church, St. John’s is a sacramental church. We celebrate the sacrament of the Holy Eucharist (the Mass, or Holy Communion) every week, not just once a month or a few Sundays a year. We believe that when we celebrate the Eucharist, we are not merely remembering what Christ said and did at the Last Supper, or memorializing that event. When we celebrate the Eucharist, we are participating in the eternal sacrifice of Christ and the Real Presence of the Body and Blood of Christ. At St. John’s we worship using the Anglican/Episcopal Book of Common Prayer (1928 American Edition). If you’re a visitor who’s unfamiliar with the Prayer Book, don’t worry–we’ll help you follow along. Or you’re welcome to just sit back and take it all in. We’d be happy to answer any questions you have about our liturgy and form of worship after the service is over. See video here.